The first day of Fall has come and gone, and it still doesn’t feel like you’ll be wanting to approach the one scarf in your closet anytime soon. Instead, embrace the slight slacking in the summer heat and get outside to enjoy the sun at a festival dedicated to it: St.Pete’s Central Avenue Solstice. This Saturday, get ready to experience a day packed full of art, culture, music, food, and shopping that will last from sunrise until well after sundown. For early risers, the day will kick off with free outdoor yoga and Tai Chi classes from studios across the city. Classes will start with the first rays of the sun at 7:21am, and continue until 9am. For those who find it a daily struggle to get out of bed, coffee will also be available. To reward yourself for your early morning start (or just to enjoy a leisurely morning in the sun), grab a $5 Sunny Side Up breakfast from one of the many participating restaurants and cafes along Central Avenue from 8-11am. Once you’re done mopping up the last of your eggs or enjoying some vegan french toast, follow your ears to the music. From 10am-8pm, there will be four main stages along Central Avenue with rotating performances throughout the day. For those who want to take a break from the sun, live, interactive art demonstrations will be held at various studios from 10am-6pm. Creative Clay will be doing mono printmaking (bring an extra shirt, and you might just get to do one of your own! ), Grand Central Stained Glass will demonstrate how they create their pieces, and Urban Comfort will be leading a brewery tour (tell everyone you toured a brewery in the name of art. You may even think of devoting your life to the art of beer afterwards). Wrap up the day by heading to Sunset Park and kicking back for a movie from 6-10pm. 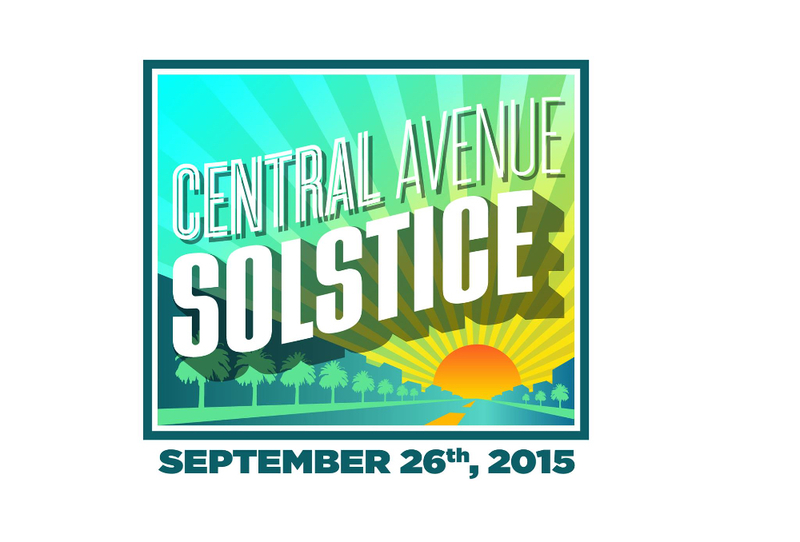 Central Avenue Solstice will be showing Sunshine State after the sun goes down, with live music beforehand. Throughout the day, select shops and restaurants along Central Avenue will be joining the fun with events and specials, and open air craft markets will be popping up. In order to save your fee, the Central Avenue Trolley will be free to take you along the road the entire day. Check out the event’s website or Facebook for more information.